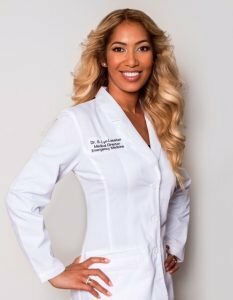 Dr. Safiya K. Lyn-Lassiter, Medical Director at Mount Sinai Medical Center Free Standing Emergency Department in Aventura, FL (FSED), has been selected as one of “America’s Best in Medicine” by the American Health Council. She will be sharing her knowledge and expertise in the field of Emergency Medicine. With over seven years of experience in Emergency Medicine, Dr. Lyn-Lassiter offers valuable insight in her role as Medical Director of the FSED. Mount Sinai Medical Center is among the nation’s oldest, largest and most respected hospitals, serving roughly 24,000 emergency department patients annually. It is a part of the Mount Sinai Health System that provides distinguished care, conducts transformative research, and advances high-quality biomedical education. As Medical Director, Dr. Lyn-Lassiter’s day-to-day responsibilities include overseeing a 16 bed acute care emergency room, managing general operations, caring for critically ill patients, responding to all patient concerns, and implementing new policies on sepsis, stroke, STEMI and critical care. Dr. Lyn-Lassiter graduated with honors from Trinity University (DC) with a Bachelor of Science in Physical Science. She completed her medical training at Meharry Medical College in 2010 where she earned her medical degree (M.D.). She received her postgraduate emergency medicine training at Morristown Medical Center in Morristown, NJ, a Level I trauma center. Dr. Lyn-Lassiter has proudly served the South Florida community since 2014. To keep a breast of the latest developments in the medical field, Dr. Lyn-Lassiter maintains affiliations with The American College of Emergency Physicians (ACEP), American Medical Association (AMA) and National Medical Association (NMA). As a testament to her success, Dr. Lyn-Lassiter was honored as the Physician of the Month at Memorial Hospital in February 2016. She works closely with the community to inform and educate people on evolving medical practices through engaging lectures and community-centered outreach programs. Dr. Lyn-Lassiter became involved in the field of Emergency Medicine after discovering how unpredictable and rewarding each patient interaction can be. Her specialties include FSED Administration, Graduate Medical Education and patient satisfaction. When she reflects on her medical training, her rotations in Nashville’s underserved community not only exposed her to the reality of health care inequity, but also this experience prepared her to engage a cross-section of patients with care and compassion. Dr. Lyn-Lassiter is currently pursuing a professional certification in Fitness & Nutrition. She enjoys traveling the world and watching romantic comedies. Recently, she joined the interesting debate focusing on the effectiveness of medicinal marijuana (MMJ) use among Florida residents. As an advocate of MMJ, she created a user-friendly website to identify, evaluate, and recommend MMJ for qualifying patients (www.askdoctorlyn.com). Dr. Lyn-Lassiter is a proud parent to Myla, her seven-year-old daughter. Considering the future, Dr. Lyn-Lassiter hopes to continue flourishing in her career at MSMC and exploring medical journalism. Founded in 1949, Mount Sinai Medical Center is the largest private independent not-for-profit teaching hospital in South Florida. Mount Sinai’s Centers of Excellence combine technology, research and academics to provide innovative and comprehensive care in cardiology, neuroscience, oncology and orthopaedics. Among a select few original statutory teaching hospitals in the state, Mount Sinai is the hospital of choice for those who seek the level of expertise and care that only a teaching hospital can offer, and our commitment to quality has been continuously recognized by U.S. News & World Report.